This story is filled with gems of truth, the value of which cannot be measured. Young Basil takes these treasures to heart and determines to live by them. He learns to pray, not that God would make him rich, but enable him to act honestly and industriously; for this is the way to become independent. His life experiences confirm what he had been told, that perseverance and industry are the two great essentials to success. 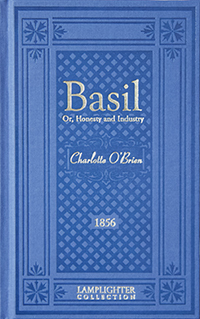 Most importantly, Basil understands that outward success can never bring inward peace and happiness apart from the love and acceptance of Christ. You will find this story to be uplifting and personally challenging. The type of story that everyone should read!